Dark clouds, cool breeze and frequent drizzles symbolise the onset of monsoon. The dawn of a new season brings in new merchandise especially when the season is rainy. The monsoon merchandise has arrived at apparel stores and the end-of-season-sale is in full bloom, to make space for the new merchandise. Apparel retailers and store managers are all busy to bring in the change in their offerings and put up a good sale. With unbelievable discounts of up to 50 per cent on the world’s most loved jeanswear brand, there is an ideal chance to grab a few more pairs of jeans. With massive discounts and offers across their entire range of goodies, Levi’s has started a gabfest in its stores. 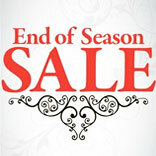 Planet Sports, is also all set for the much awaited end of season sale. As per Ravdeep Singh, the CEO at Planet Sports, there is a positive consumer sentiment and a visible preference to move out and shop and thus they are offering their consumers an occasion to celebrate through the sale. “There have been great discounts on mostly all of my favourite brands, and I am just so excited to lay my hands upon them. But the thought of weekend traffic and the mad rush in the stores has kept me quiet. But anyways you need to brave them to get all the exciting stuff at half the cost” says Ankur Tewari, an employee with an MNC. Almost every apparel brand, be it Wrangler which is giving its customers up to 40 per cent discounts or be it Adidas, which is offering flat 30 per cent off, are in a fight to eat the largest pie of the customers spending. Brands like Van Heusen, Allen Solly, Cantabil, Pepe are all providing one or the other kind of discounts to their customers. DLF Promenade Delhi, which houses some of the most luxury brands available in the country, has this first of its kind shopping festival going on, which started on July 15, 2010 and will go on till August 15, 2010. All well-known brands are offering products at irresistible prices and for the whole month, consumers have an opportunity to avail great discounts and prices at the festival. Promotion becomes a very important factor when it comes to making your end of season sale a success. “Fliers, newspaper and magazine ads, direct and e-mailers, tele calling, sms, invites for the sale preview to our regular and loyal customers, these are the few things that we practice every time we plan sales. Also, as per the locations, we have kiosks, posters, banners and hoardings which tell the passerby about the sales and the schemes” says Mahesh Mohnani, Director, Vasari. The retail stores often make some kind of changes inside the outlets during sales. Like, there are posters put up across the stores which inform the customers about the discounts and schemes available. A lot more emphasis is given on the discounted items and is kept separately to catch the attention of the bulk buyers. Pushpa Bector, the Vice President of DLF Promenade said that they are very ecstatic to announce the shopping festival and hope that people participate in shopping and eating out. To give shopping the whole new experience, there will be exciting activities like spin the wheel, gifts and ladders along with the weekly draws, wherein you stand a chance to win exciting gifts. “Our collections are our passion and we go all out in creating them. For every season we create 60 designs in sherwani's, 40 in the indo-western, 25 in the bandgala category and a never ending range in the designer suits and kurta pajama category. Our designs are segregated to suit all budgets and looks. Again it's a never ending range of shirts, trousers, jackets etc, wherein as soon as a collection is sent to the stores work starts on the newer range as it's sold off the rack and no designs are ever repeated. Hence it's a constant endeavour of keeping the stores fresh” says Mehra. By reducing the price points retailers get rid of their old stock and also make the products affordable for those who aspire to wear fashionable clothes but have limited means!